68% of Brits expected house prices to rise in the next 12 months in the third quarter of 2015, the Halifax Housing Market Confidence Tracker reveals. Just 5% expected a fall in the typical house price, which currently stands at £204,674. Just over half of the general public thought that the next 12 months will be a good time to buy (53%) and sell (52%), down from 56% and 59% in the second quarter. 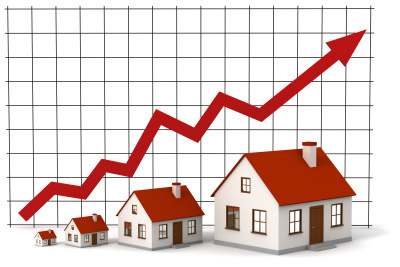 Craig McKinlay, mortgage director, Halifax said: "While economic optimism appears to have tailed off in the last quarter, house prices have continued to increase and the underlying pace of house price growth is strong. "This has helped to maintain the expectation that house prices will continue to rise, despite more people expecting interest rate rises in the next 12 months. "The factors behind the upward pressure on house prices include the continued lack of second-hand properties for sale on the market and the availability of low mortgage rates. Without an increase in supply it's likely to mean that house price growth continues to be robust in the short-term, even if interest rates eventually begin to increase." Nearly three in five (58%) Brits anticipated an interest rate rise in the next 12 months in Q3. In London only 40% thought that the next 12 months would be a good time to buy, compared to 77% in Scotland and 58% in North England. But in the capital 64% said it will be a good time to sell, compared to 48% in Scotland, 47% in North England and 43% in the Midlands.